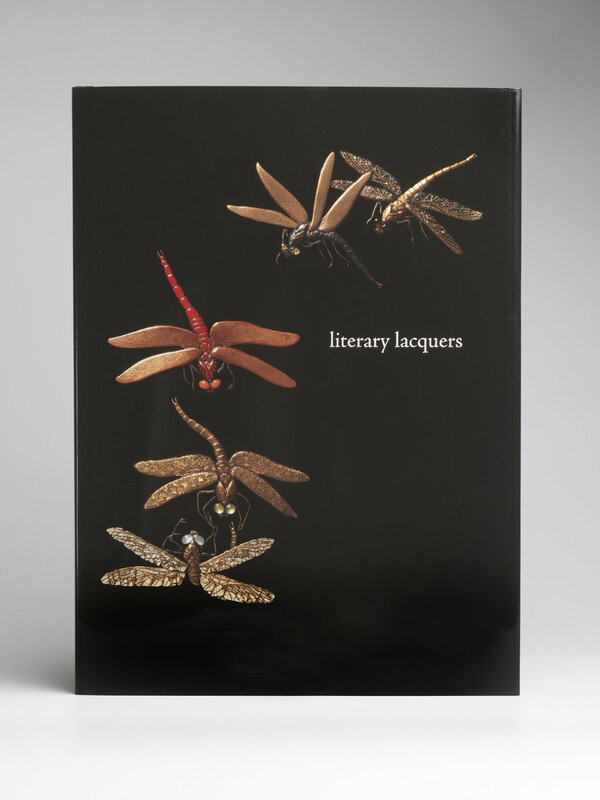 Literary Lacquers — Sydney L. Moss Ltd.
35 x 26 cm; 54 pages. A slim, sublime, volume published to accompany an exhibition of unusual suzuribako and other art lacquers, Literary Lacquers limits itself to ten superlative works of art by an array of genius-level artists, including Ogawa Haritsu, Mochizuki Hanzan, Nomura Chohei, Koma Kyūhaku, Jōkasai, Shirayama Shōsai and Shibata Zeshin. These objects have been selected not only for their rarity, but also for the ineffable qualities that make them so special.